Voted in 2011, by Seattle Magazine as 1 of the 30 best day trips in the Seattle Area! 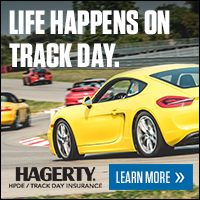 This one day High Performance Driving Experience clinic is designed to expose you to the Thrill and Excitement of High Performance Driving at Pacific Raceways on the 2.25 mile, 9-turn track with major elevation changes road course, challenging even the most seasoned road racer. The expansive layout provides many locations for the many training exercises our school conducts. Drive away with a HUGE smile on your face with new in depth knowledge of vehicle dynamics, skid control, brake application, and proactive driving techniques. Discounted Tuition: $495 taken in your BMW Northest or Mini Cooper vehicle. This event is limited to 30 clients. Comments from participants just like you! I loved it. The only regret is that I waited this long to come out to ProFormance. Perfect, to have three stages to first learn the track then practice and finally master driving the road course. Great to test the limits of the brakes in a safe structured environment. Really fun, confidence building and understanding what the car can do. Already recommending this program with texting to friends! A fun, tough, challenging experience, I loved it! Absolutely the best class I have ever taken!